Eaglecrest is just 12 miles from Downtown Juneau on Douglas Island. Everything you want is here: easy, wide and often challenging runs and chutes. 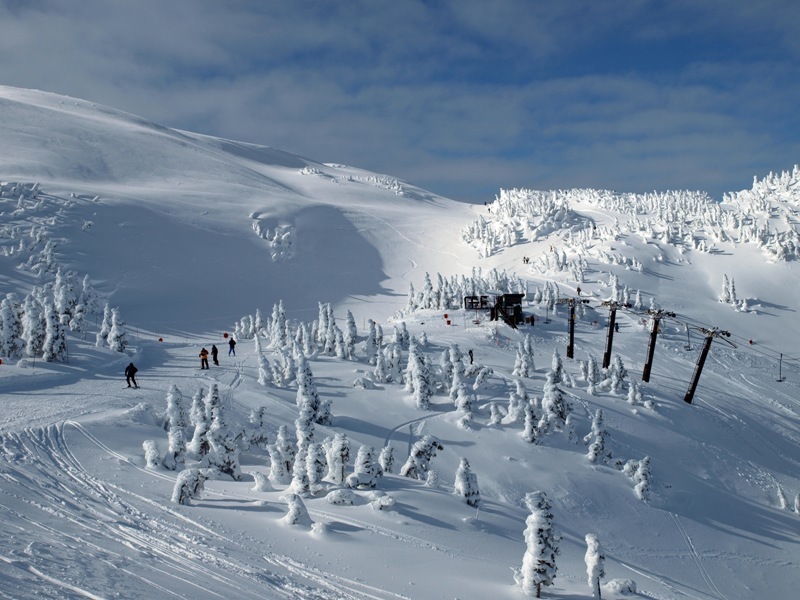 The lifts operate Thursdays through Mondays from December to April; full time over holidays. Food service available at base lodge serving homemade soups, sandwiches and expresso. Restaurants and bars can be found in downtown Juneau. Ski lessons for all ability levels. Disabled ski program available. Clinics and rental/repair available.